Three Indian writers got featured in the Man Asian Literary Prize longlist of 15 authors. Writers Benyamin, Anjali Joseph and Jeet Thayil were listed in the selection list of Asia's most prestigious award for their works 'Goat Days', 'Another Country' and 'Narcopolis' respectively. The shortlist for this years prize will be announced on January 9, 2013. 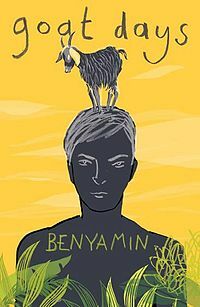 Goat Days which is the English translation of Benyamin's hottest selling Malayalam novel Aadujeevitham. It is a moving story about one of the great human concerns of the present century: migration in search of a better life. Benyamin who lives in Bahrain since 1992 is from Kulanada, Pathanamthitta. Jeet Thayil born in Kerala, India in 1959 and educated in Hong Kong, New York and Mumbai. He is a performance poet, songwriter and guitarist as well as a writer, and has published four collections of poetry. Anjali Joseph was born in Bombay in 1978. She read English at Trinity College, Cambridge, and has taught English at the Sorbonne. Her first novel, Saraswati Park, was published by 4th Estate in 2010; it won the Betty Trask Prize, Desmond Elliott Prize, and Vodafone Crossword Book Award for Fiction in India. The 2011 Man Asian Literary Prize was won by South Korean writer Kyung-sook Shin for her novel "Please Look After Mom".